Hello everyone! Get this amazing Black Friday Promo deal (from November 23 to 26) on the FASHION AND MAKEUP TUTORIAL APP from Valisimo fashion school. 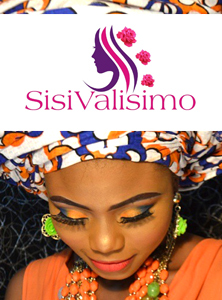 Learn tips for fashion designing and makeup in our video tutorials by our CEO, Valerie Boglo. Pay for a one-month subscription and get an extra month FREE! You can pay directly on the app with your PayPal account or online banking details. Or you can pay to our account and we would set up your subscription for you. 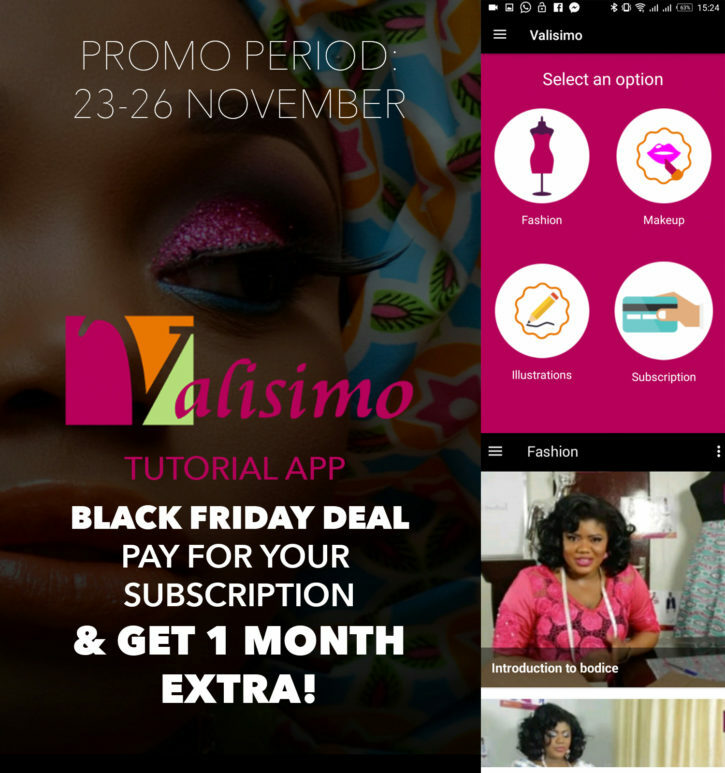 If you have an android phone you can install the Valisimo sewing tutorial app. It has tutorial videos that teach you how to sew starting from the basics. New videos are uploaded from time to time. You would also have access to all the videos as long as you have internet connection. Some videos are free but to get access to all the videos you need to pay a monthly subscription fee of 1100 naira. You can send a WhatsApp message to +2348023326842 for subscription instructions.